1910 Stanley 63 10HP owned by R.Cranford, Lincolnshire. 1910 Stanley model 63 owned by R.Crawford, Lincolnshire. 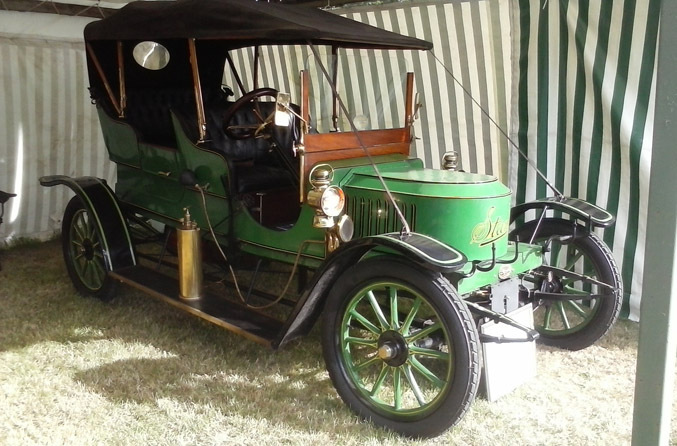 10HP STANLEY MODEL 63, REGISTRATION NUMBER - A774 4 SEAT TOURER OWNED BY THE PRESENT OWNER FOR 40 YEARS AND RESTORED TO RUNNING ORDER 2016.